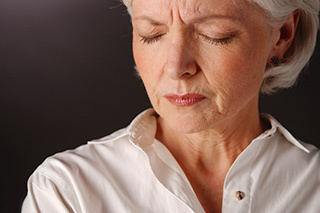 The use of morphine and ziconotide is consistently recommended as first-line intrathecal (IT) therapy in the management of cancer- and non-cancer chronic pain, respectively, according to a literature review and analysis of evidence-based guidelines from the 2016 Polyanalgesic Consensus Conference (PACC) published in Pain Medicine. For morphine, the studies examined were mainly non-controlled and prospective or retrospective in nature, and for ziconotide, a mix of randomized controlled trials and prospective observational studies. One of the prospective open-label studies examined included 119 patients with refractory cancer-related pain who were found to experience a significant decrease in mean pain scores after 1 month of IT morphine treatment (mean pain score reduction, 31%; P <.01).. A retrospective study indicated effectiveness of 1-month treatment with IT ziconotide in both cancer (n=32) and non-cancer chronic pain, with a 20% reduction in pain intensity. The 2016 evidence-based PACC guidelines recommend the use of morphine and ziconotide as effective and safe first-line IT monotherapies for chronic pain, noting that ziconotide monotherapy should be preferred to morphine monotherapy for chronic noncancer pain. Individual patient characteristics, including pain location and response to prior therapies, should be assessed when choosing initial IT analgesia. According to the PACC guidelines, a conservative initial dosing of morphine and ziconotide should be adopted. Dose titration should be carefully monitored for ziconotide due to its narrow therapeutic window. In patients with a clinical history of psychosis, IT ziconotide should be avoided and IT morphine should be used with caution, as it was found to increase the risk for serious adverse events. In addition, IT morphine administration may require dose increases, and patients on such a regimen should be closely monitored as this treatment may be addictive. “Applying the PACC 2016 guidelines in clinical practice — particularly the use of ziconotide as first-line IT therapy for patients with non-cancer pain — may improve the efficacy and safety of IT therapy for patients with chronic pain,” the investigators concluded.